Savers are to receive free independent guidance when given unfettered access to their pension pots from next year, the government has said. The plan changes an aspect of the major liberalisation of defined contribution pensions unveiled in the Budget. Critics had raised concerns a proposal to make providers give advice could see unsuitable investments recommended. The guidance will now be through independent organisations, paid for by a levy on regulated financial firms. It will it not always be face-to-face, as first indicated, but could be provided online or by phone. Up until now most people in defined contribution schemes - where the final pension depends on the amount of investment returns - bought an annuity, a pre-set income for life, from a provider when they retired. But from next April, savers will be able to use their pension money as they see fit, from the age of 55. Chancellor George Osborne told the BBC: "This is going to be free and impartial guidance for millions of people who for the first time are going to have access to the money they've saved through their life. "We're going to work with people like the Citizens Advice Bureau, with Age UK and others to make sure people get the best possible guidance and that this is genuinely impartial." Analysts have cast some doubt over the nature of the guidance on offer. "It is going to be pretty superficial. It is not going to be a deep and interactive process that gives you very personalised advice. That would be very expensive, so it can't do that," said Tom McPhail, head of pensions research at Hargreaves Lansdown stockbrokers. Malcolm McLean, senior consultant at Barnett Waddingham, said that there was still a risk of people making inappropriate choices as extra complexity was added to the already complicated pension system. "It is still not completely clear how this [guidance] will work in practice and what the interfaces and overlaps might be with providers and fully qualified financial advisers," he said. The Treasury carried out a consultation after the Budget in March and has now published the final rules for the changes. It said the plans were "overwhelmingly well received", with savers backing greater freedom and choice, and the pensions and insurance industry ready to create new products better suiting individuals' needs. Mr Osborne had acknowledged from the start that advice given to savers through the providers themselves might not be seen as impartial. The guidance will now be delivered by organisations including the Pensions Advisory Service and the Money Advice Service. 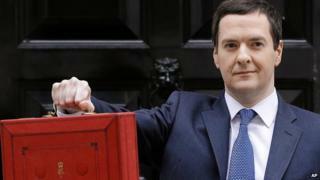 Concerns have also been raised on how a nationwide pensions guidance service could be set up by April next year. The Association of British Insurers, which represents a number of pension companies, said that there was an "aggressive timeline" to get the service up and running by April 2015. And Jackie Spencer, pensions expert at the Money Advice Service (MAS), said the deadline was "challenging". She said that the MAS already oversaw the work of more than 100 face-to-face advisers on financial matters, and had a website explaining pension choices. However, there was no precedent in other countries of a guidance service of this kind. The Treasury said: "The government wants to ensure that guidance is trusted by consumers, and the vast majority, including most of the financial services industry who responded, said that consumers would not trust guidance given by a person or organisation with a vested interest in selling a financial product or service." The Treasury said about 300,000 people with defined contribution pension savings would be able to access them as they wish next April, although only the first 25% of money taken out of their schemes would be tax-free. Some have suggested, since the original plans were announced in the Budget, that the new freedoms could mean people spending large sums early in their retirement and falling back on state support later. But Mr Osborne said those concerns were unfounded. "I think that approach is frankly a bit patronising to say to people you don't know how to spend your own money," he said. "I take the view which is: you have worked hard, you have been responsible, you have saved for your retirement. You know better than anyone how you want to use that money. And if you have this new free and impartial guidance you can be directed towards the right choices for you." The pension reform plans have also led to some financial analysts questioning how the insurance industry will be affected by a potential fall in demand for annuities. The Treasury also confirmed that the government would allow new pensioners in private sector defined benefit schemes to transfer into defined contribution pension schemes. But it decided to introduce two new safeguards - a requirement to take advice and new guidance for trustees of the existing schemes. However, the chairman of the House of Commons Treasury Committee, Andrew Tyrie, has written to Mr Osborne to voice concern over MAS's involvement in the delivery of guidance. Mr Tyrie said: "The Treasury Committee was clear that guidance provided under the guidance guarantee should be demonstrably impartial between insurance providers. Today's announcement by the Treasury that the guidance guarantee will be provided by independent bodies appears to meet this requirement, and is a step forward. "It is concerning, however, that the MAS may play a part in the delivery of the guidance. The Committee has expressed serious concerns about the ability of the MAS to perform its functions, and has recommended that an independent review consider whether the MAS should exist at all as a statutory body. "I have written today to the Chancellor, asking him to clarify the scope and limits of the role proposed for the MAS." Mr Tyrie added: "Furthermore, the independent review should be allowed to consider both immediate improvements to the MAS and the question of its future as a statutory body. Without such an undertaking, the Committee would have reservations about a role for the MAS in an area as important as the guidance guarantee." In a separate announcement, the Financial Conduct Authority (FCA) said, following a review looking at nearly 300 cases from bulk pension transfer advice exercises between 2008 and 2012, poor advice had led to a risk of people losing out on retirement income. People were offered enhancements to encourage them to leave their employers' defined benefit pension schemes but unsuitable advice had been given in some cases.